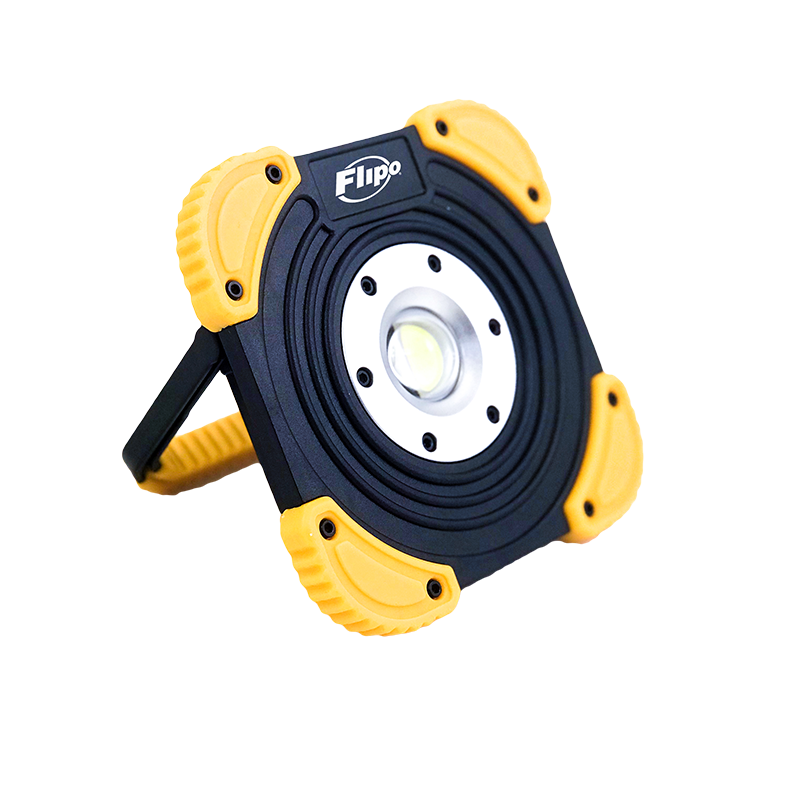 The NEW Portable Worklight from Flipo is the perfect energy saving light for workshops, camping, power outages, car emergencies, and more! 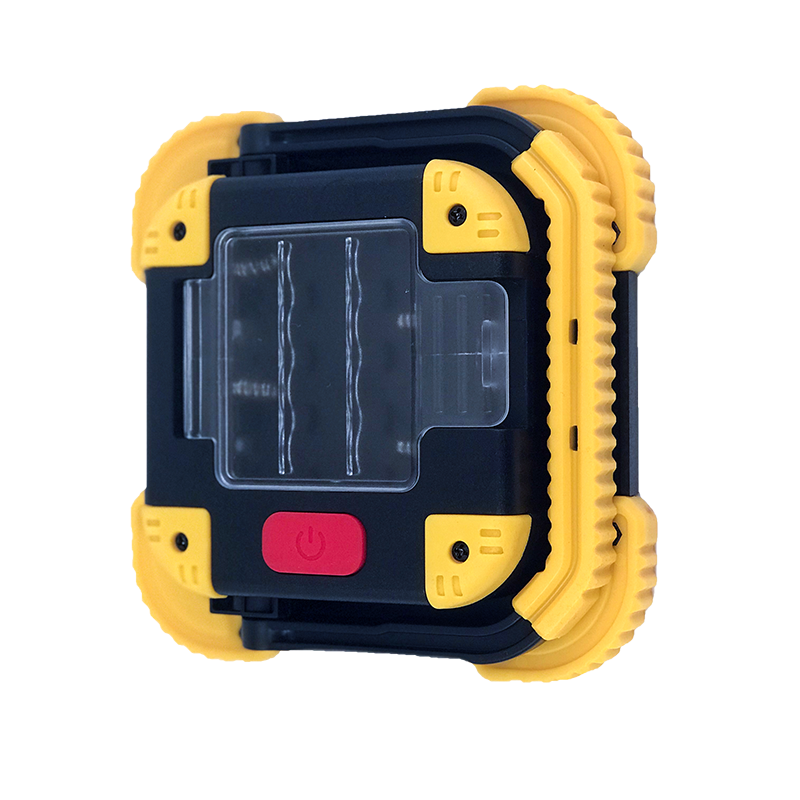 Use the Titans super bright COB LED 10 Watt floodlight mode or dim low light mode. Work hands-free with light almost anywhere with the help of the 3-in-1 handle that allows you to adjust light angle 180-degrees! The 3-in-1 handle can also be used as a hanging hook, kickstand, and is anti-slip. 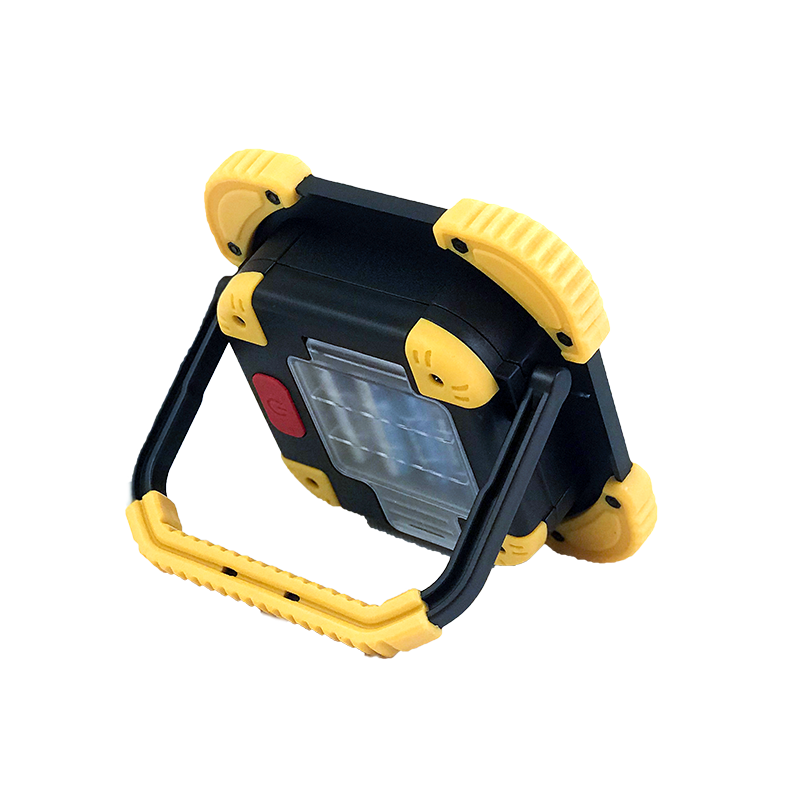 Made of durable ABS material, the Titan worklight is impact resistant. 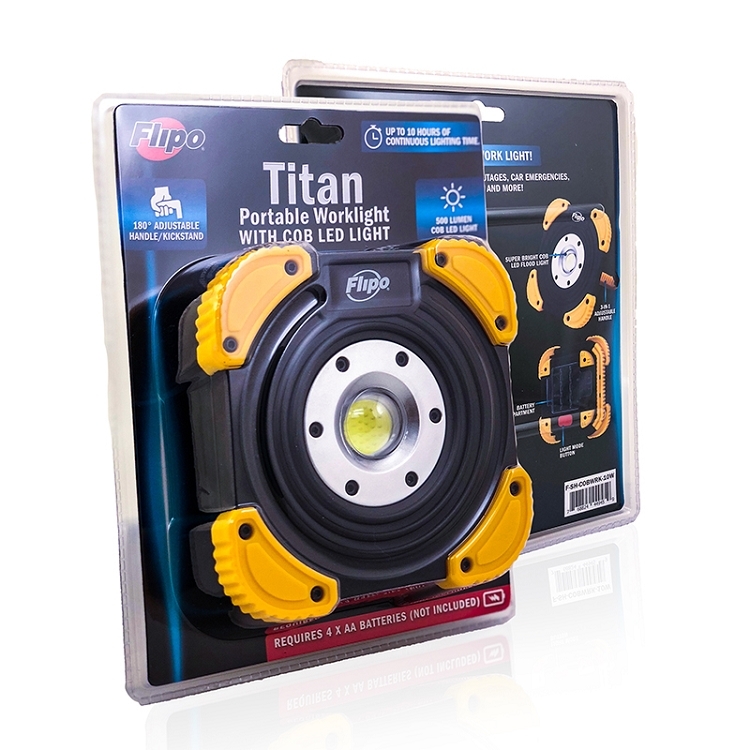 Get up to 10 hours of lighting time with NEW Titan Worklight. 2 Light Modes: 10 Watt floodlight or dim low light. 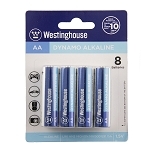 Made of durable ABS material. 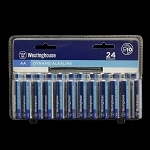 Up to 10 hours of lighting time using the floodlight light mode. Multi-purpose kickstand, hanging hook and handle. 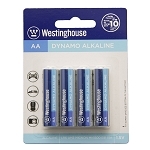 Measures approximately 5.75" X 5.75".